L.O.V.E. 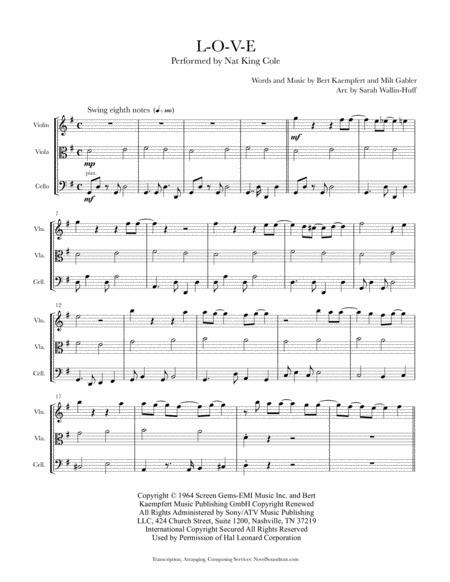 sheet music for SSAA a cappella by Julie Gaulke. Home Bio Sheet Music Learning Tracks Pricing Contact Product Description. This is my original arrangement for SSAA a cappella voices. Music and Lyrics by Bert Kaempfert and Milt Gabler. Learning tracks also available. Available at both MusicNotes and SheetMusicPlus (see purchase links below). Print and download in PDF or MIDI L.O.V.E.. Acappella arrangement of Nat King Cole's L.O.V.E.